Vee B. Sotelo is an attorney with Slovak Baron Empey Murphy & Pinkney LLP, practicing mainly in the areas of employment law and civil litigation. Vee attended Case Western Reserve University School of Law and graduated in 1995. She started her career as a legal researcher throughout the US and in Italy. Subsequently, Vee settled in California and has been a practicing attorney in California since 2003. She is licensed to practice before California and federal courts. Currently, Vee focuses on employment law, primarily providing litigation defense, from the trial through the appellate process, as well as employment counseling. 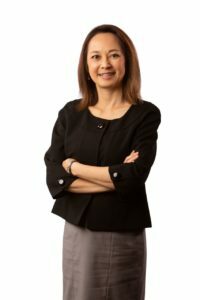 Additionally, she has represented clients in all levels of administrative actions, including, but not limited to, actions before the National Labor Relations Board, the Occupational Health and Safety Administration, the California Division of Occupational Health and Safety, the Employment Development Department, and California Labor Commissioner. Vee’s services to clients include day-to-day counseling regarding employment issues; preparation of employment-related documents, including employment agreements, handbooks, separation agreements, among numerous other documents; defending clients in civil litigation; advising clients of developments in employment law; and reviewing clients’ employment practices to ensure compliance with applicable state and federal laws.